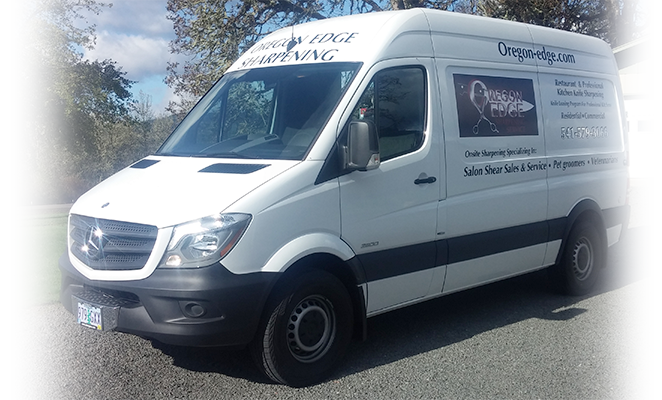 Oregon Edge Mobile Sharpening | Salons, Restaurants, Medical | Eugene & Springfield, OR! 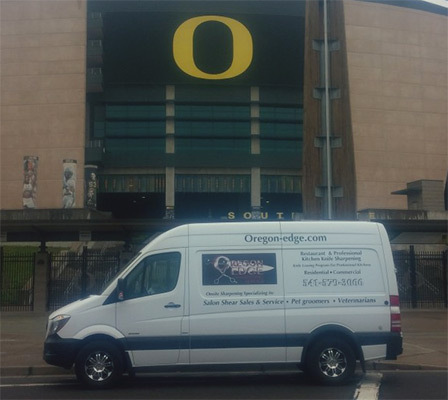 Mobile sharpening services for the Eugene & Springfield area! For Pet Groomers, Veterinarians, Medical & Clipper Blades! 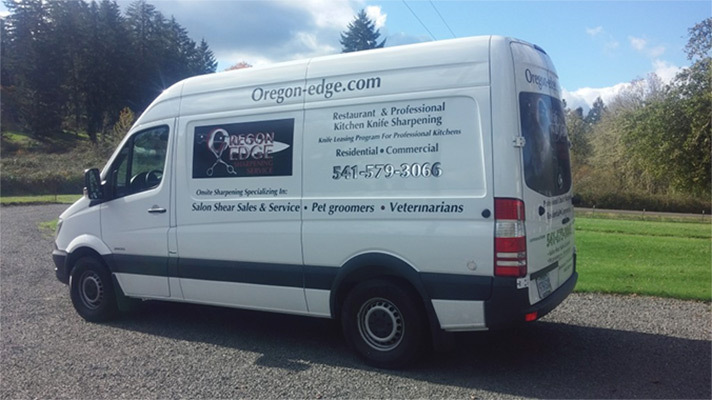 We offer a wide variety of sharpening services from household knives to commercial kitchens; groomers, veterinarians, and medical tools, however, we specialize in salon shears sales and service. The best part is WE COME TO YOU!!! 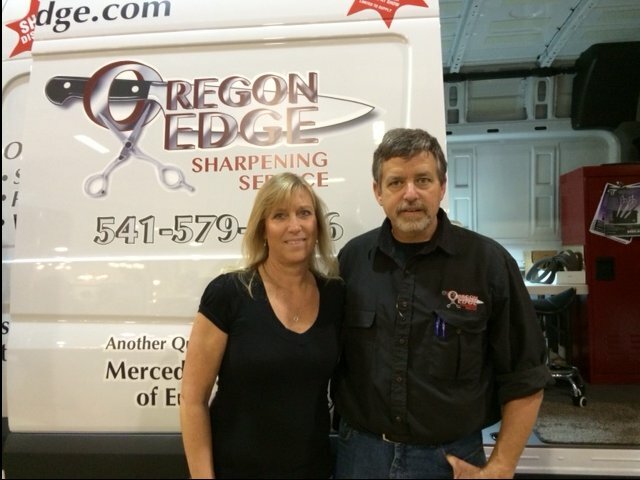 For stylists, we are the only factory trained and certified SENSEI sales, service, and sharpening technician in Oregon. Although we specialize in SENSEI, we can put a factory edge on ANY shears you own. We offer a satisfaction guarantee for our work. If you are not happy with our services, we will refund your money. Sharpening is certainly much more cost effective and “green” than it is to buy new tools. If you would like to know more about our services, please don’t hesitate to call us at 541-579-3066.